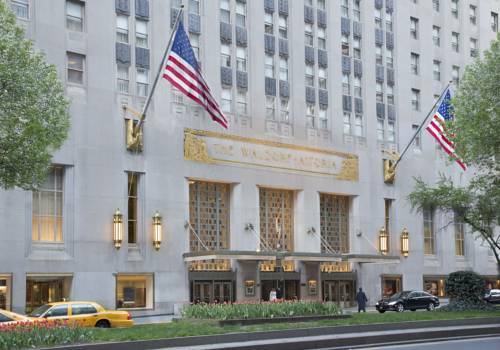 THIS HOTEL IS 100PCT NON SMOKING The most legendary landmark on Park Avenue the Waldorf Astoria New York is an iconic hotel that inspires the world. An Art Deco masterpiece it has impressive public spaces and luxuriously appointed guestrooms of elegant and timeless design. The Waldorf Astoria New York brings together the city*s social elite world leaders captains of industry and travelers from every nation for the most memorable occasions and unforgettable events. Arguably one the world*s most iconic hotels The Waldorf Astoria New York provides guests with an unrivalled New York City luxury experience with elegantly appointed and individually decorated suites. An Art Deco masterpiece it has impressive public spaces and luxuriously appointed guestrooms of elegant and timeless design. The hotel is conveniently located in the heart of midtown Manhattan within walking distance to Rockefeller Center St. Patrick*s Cathedral the Theater District and the best shopping and art galleries on Madison and Fifth Avenues. Guests enjoy highly anticipatory pre-arrival service three distinct restaurants including Bull - Bear Prime Steakhouse Peacock Alley and Oscar*s Brasserie the signature Guerlain Spa and exclusive lobby boutique shopping including renowned jeweler Cellini. With one of the most historic and well-recognized bars in New York City this celebrated steakhouse offers a selection of signature chops and seafood with a selection of Prime Angus steaks.